Why should one consider doing facials? It’s ideal to book a professional facial once a month if you want to maintain healthy skin. There’s a misconception that you only start treating your skin once you see signs of pigmentation, wrinkles, fine lines and uneven skin tone. It’s better to start earlier, as the saying goes, “Prevention is better than cure”. 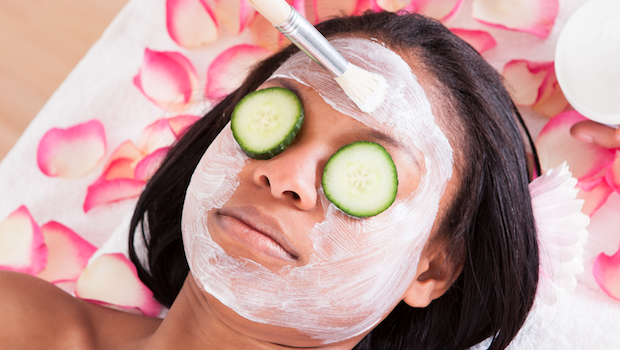 Facials can help clear clogged pores, remove dead cells, and increase blood circulation and lymphatic drainage. They can help slow down the ageing process such as wrinkles and fine lines. You can minimise or successfully treat issues like blackheads, whiteheads, pimples, sun damage, acne, inflammation, rosacea, dehydration, wrinkles, acne scarring, loss of firmness and elasticity with the right facial treatment. What must you consider before going for your first facial? · Show up to your first appointment barefaced. · Know the products you are currently using. · Be aware of big events — don’t book a facial the day before a big event, like a wedding. · Avoid waxing or shaving 24-48 hours before your facial. · Know your medication. Discontinue any use of acne medication such as Tretinoin and Accutane three months before having a facial, as these medications can thin the skin. · Arrive earlier so you are able to ask the professional skin care provider relevant questions. What kind of treatment or facial is good for oily skin? Oily skin is more prone to developing acne, so a facial massage with creams or moisturisers is not advised. Skin peels are a very effective way of controlling sebum and also dissolving dead skin cells, which can block pores and form spots. They will also help to kill any bacteria that add to the acne problem. Dry skin is more prone to rapid ageing, and needs special care to slow down this process. It needs both oil and water to balance it out. Recommended facials include masks and the oxygen facial, which will help the product penetrate into the skin. What facial treatments are available at Optimum Med? At Optimum Medical Aesthetics we have a variety of facial treatments suitable for each skin type and skin condition. We have different treatments that provide solutions for wrinkling and fine lines, acne, acne scarring, eczema, dehydration and hyperpigmentation. And treatments to aid the regular upkeep of healthy looking skin. What’s the skincare mantra you swear by? Maintain a consistent skincare routine. Your skin will reward your diligence with your skin care regimen. When you find products that your skin responds to, stick with them. There are no shortcuts to healthy looking skin.